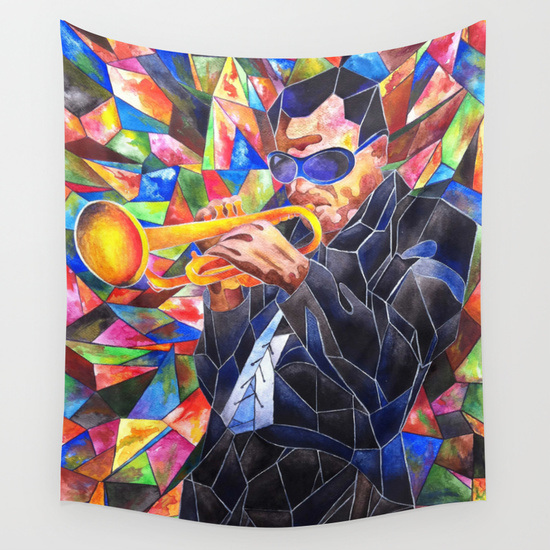 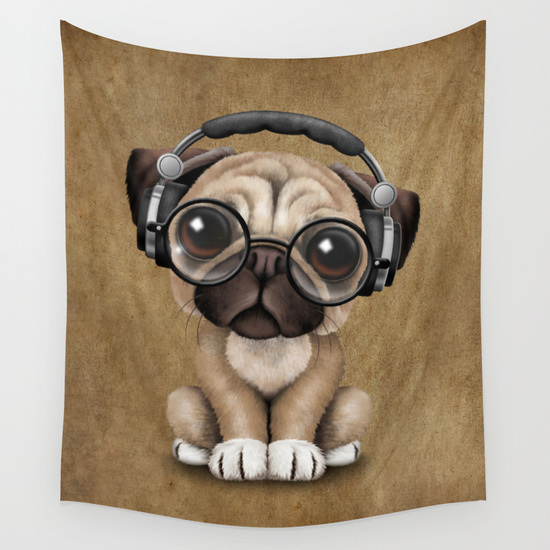 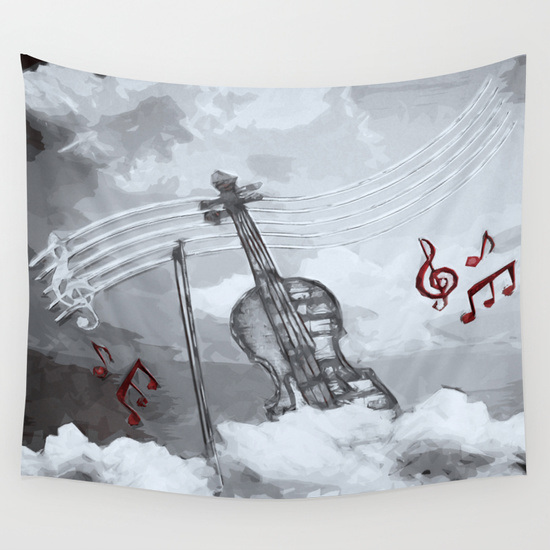 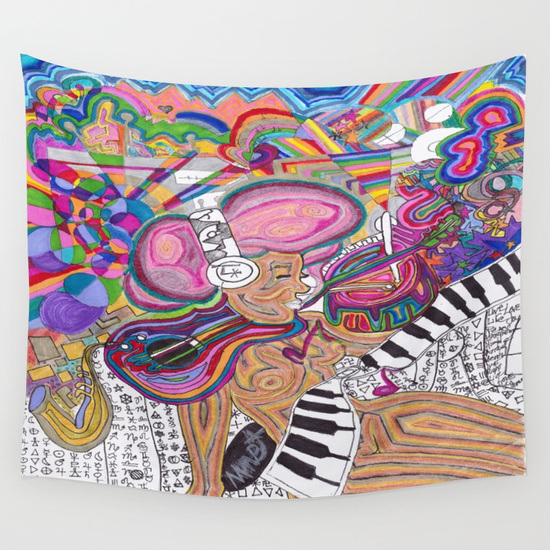 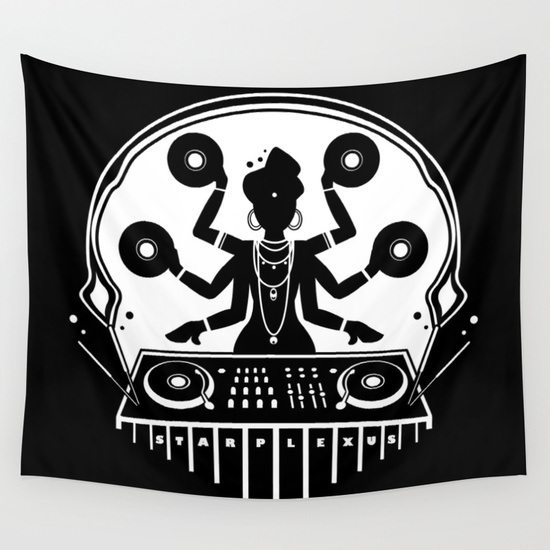 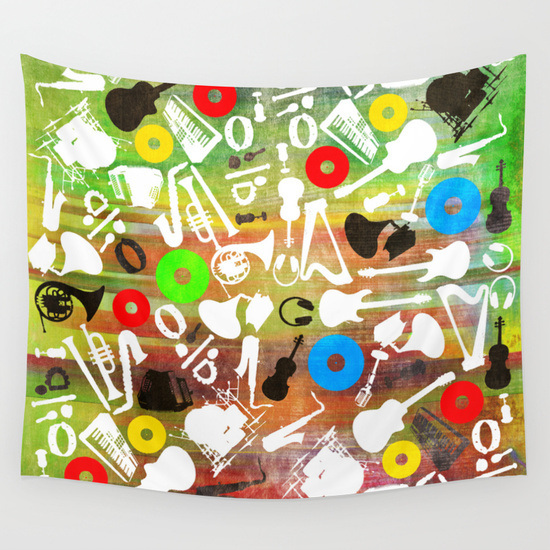 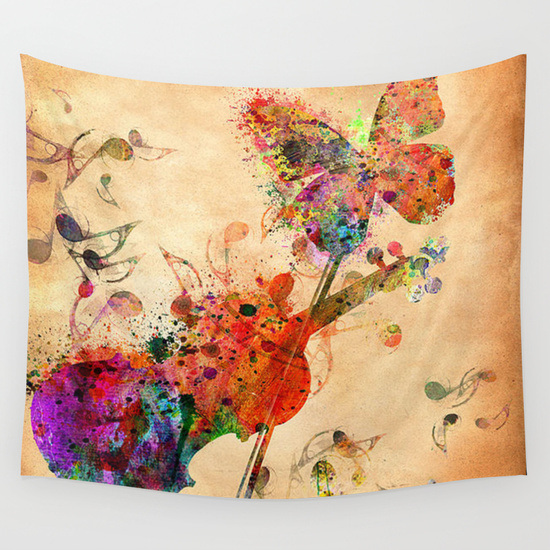 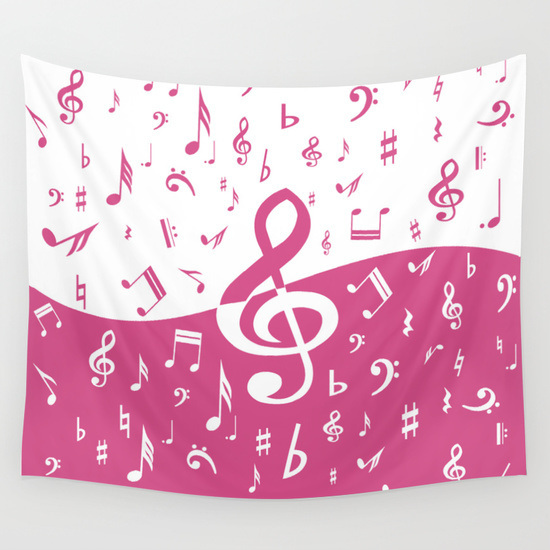 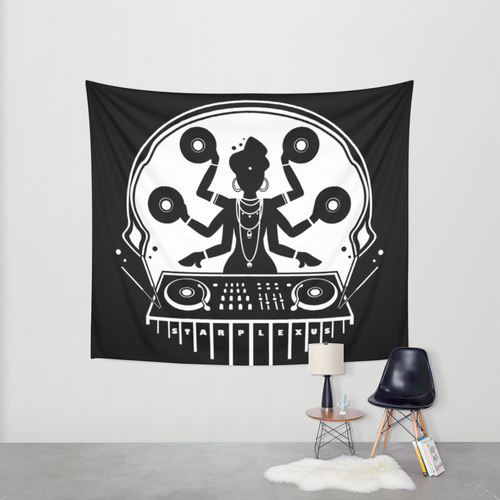 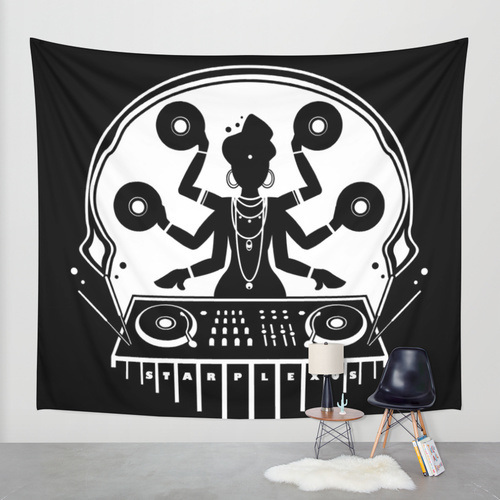 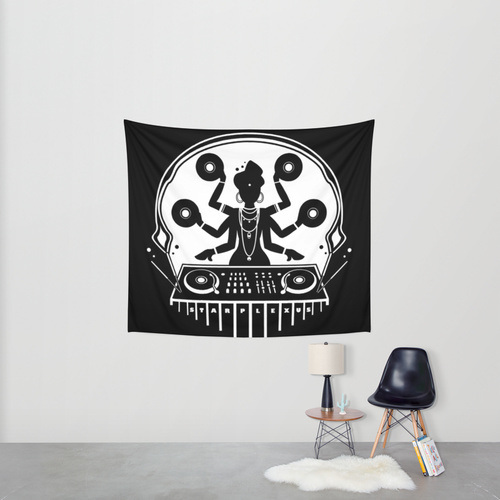 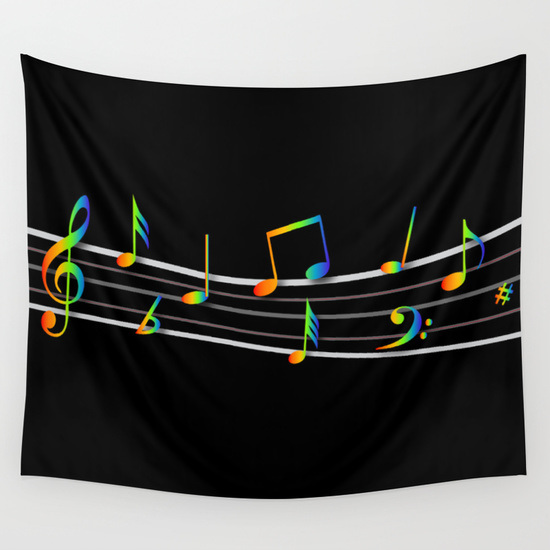 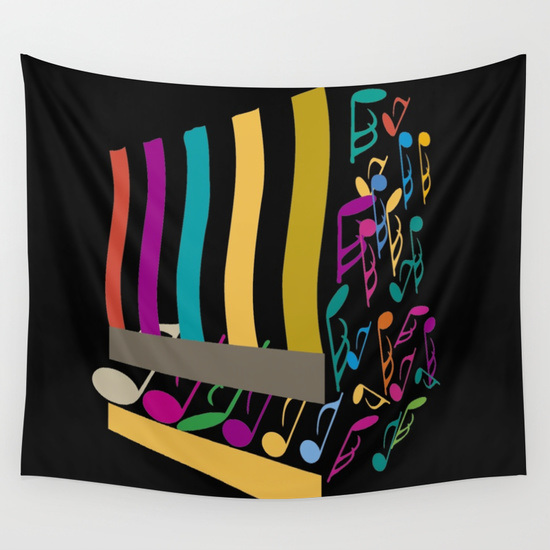 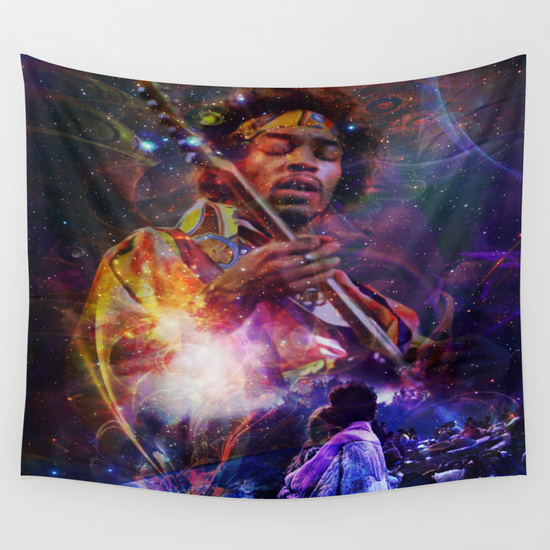 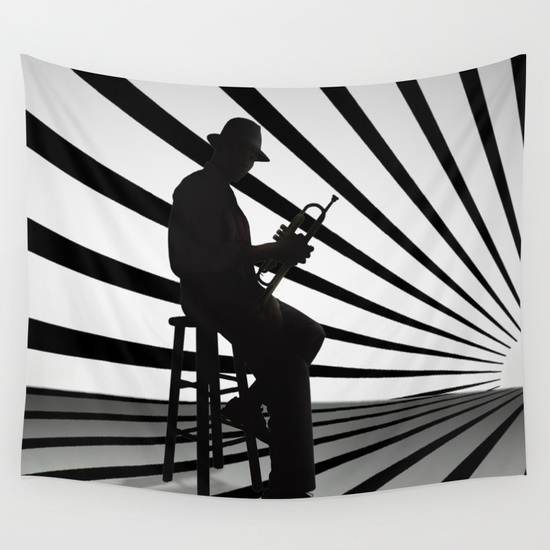 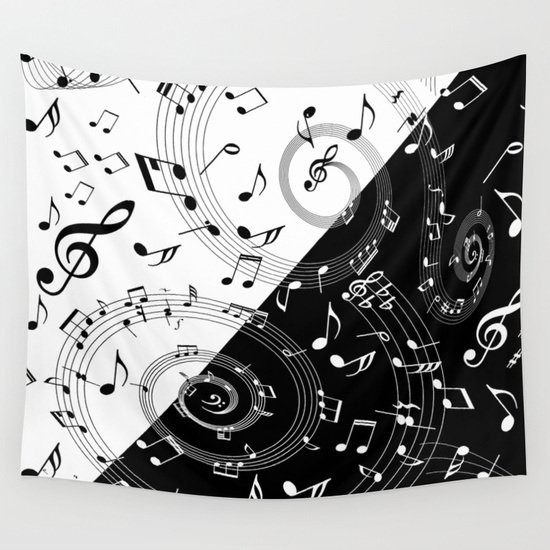 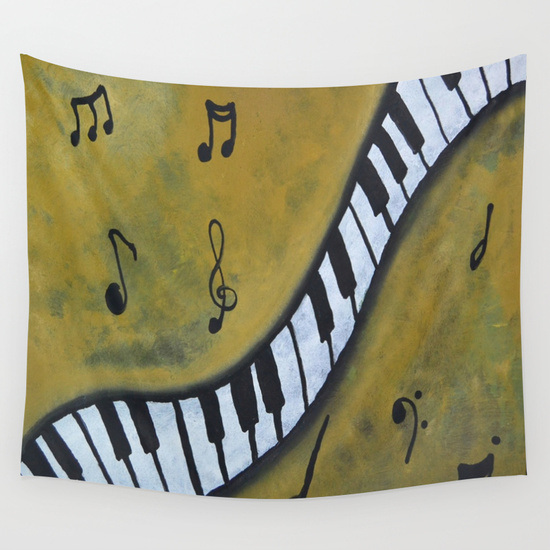 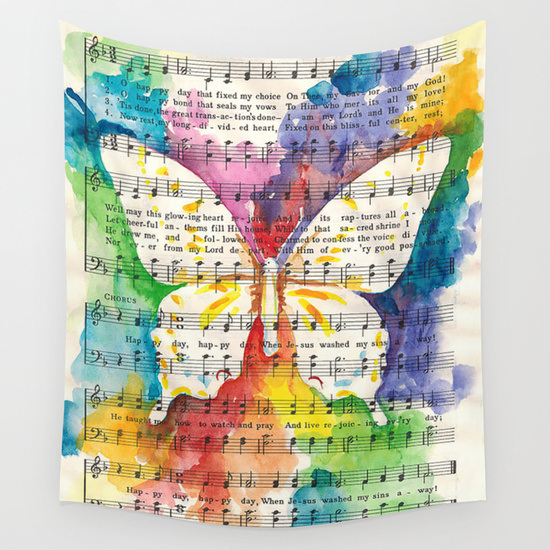 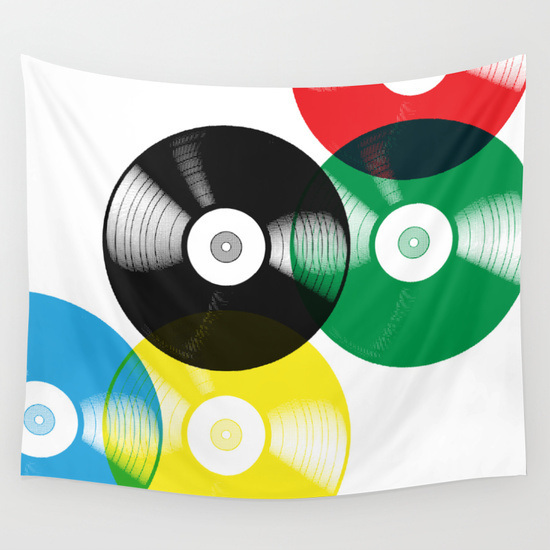 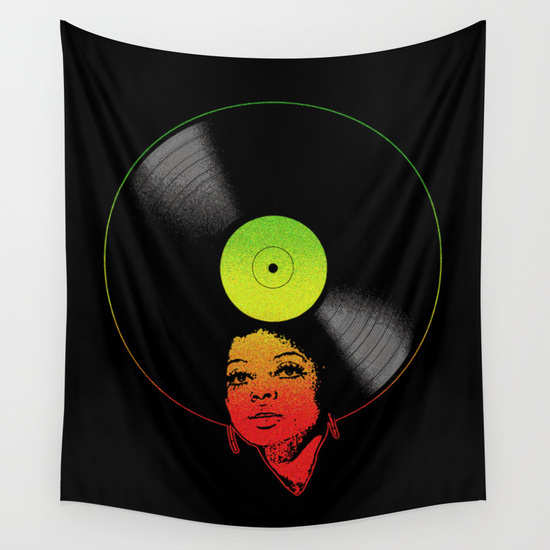 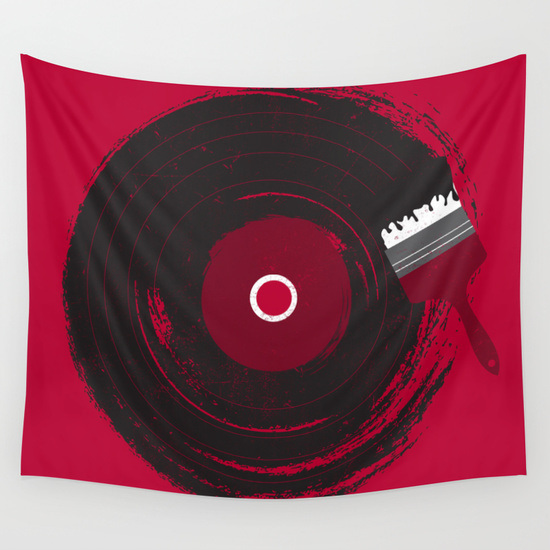 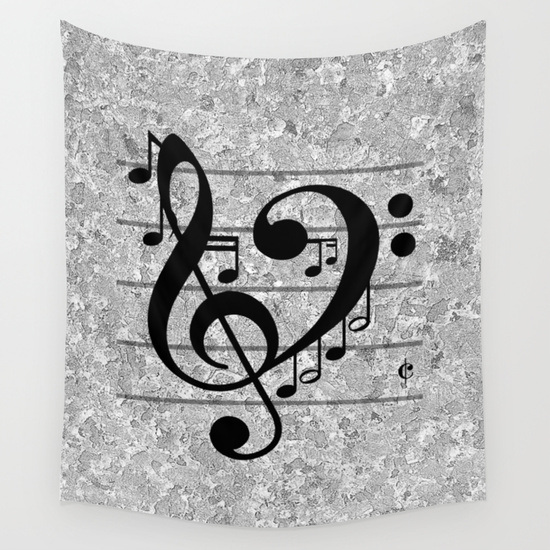 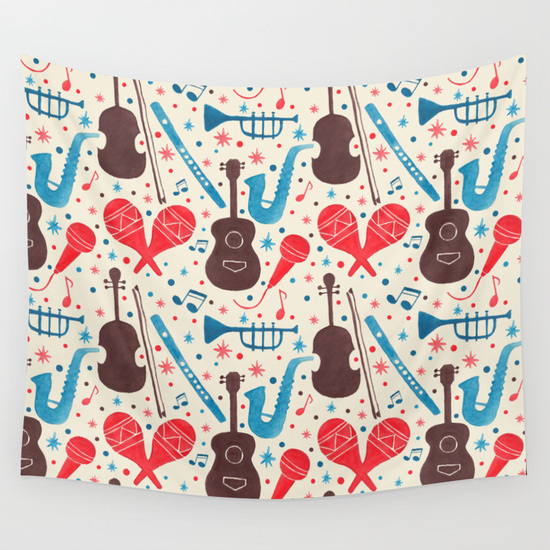 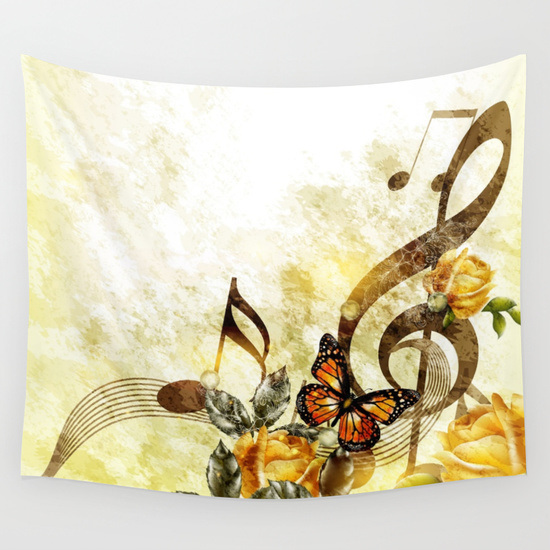 These stylish designer music themed tapestry's are available in three different sizes to compliment any wall size and music themed interior. 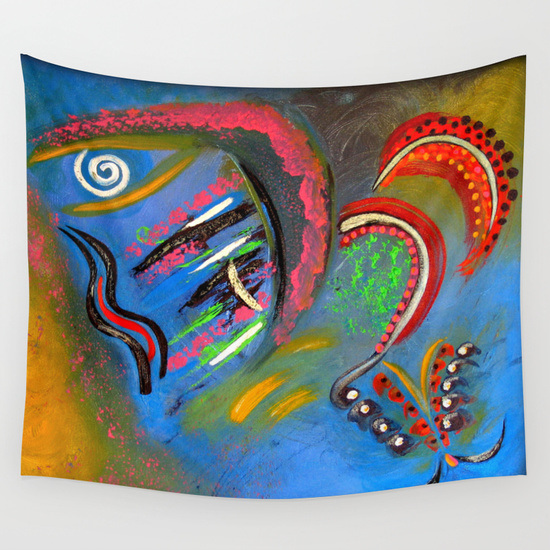 Sizes available are a massive 88 x 104 inches, a medium 68 x 80 inches and a very generous small size of 51 x 60 inch. 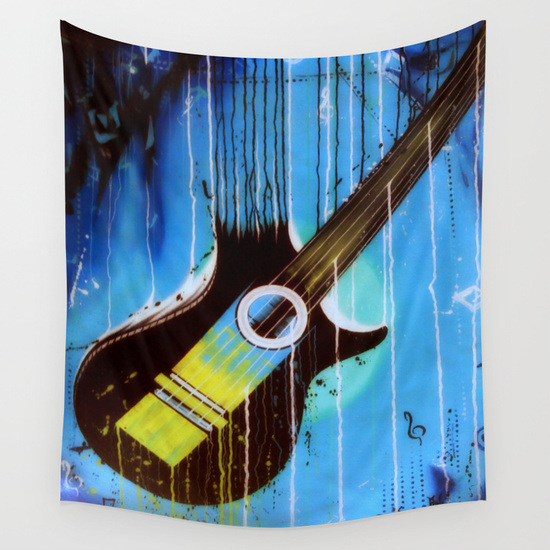 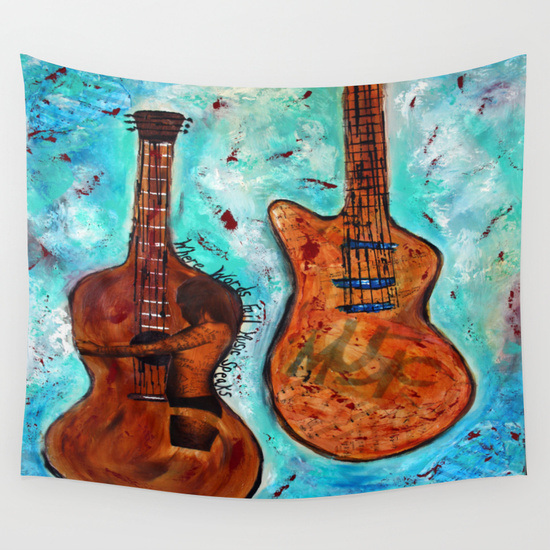 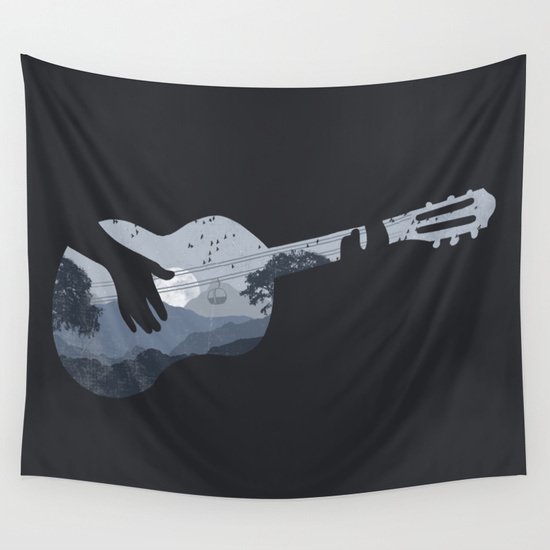 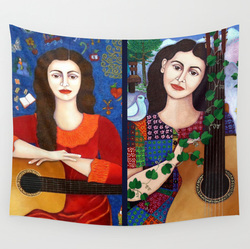 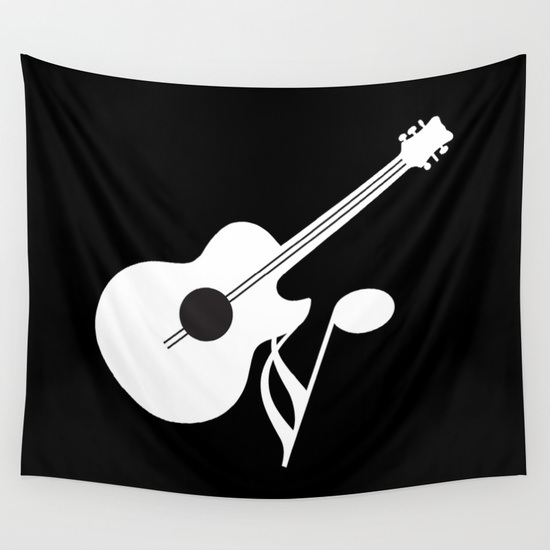 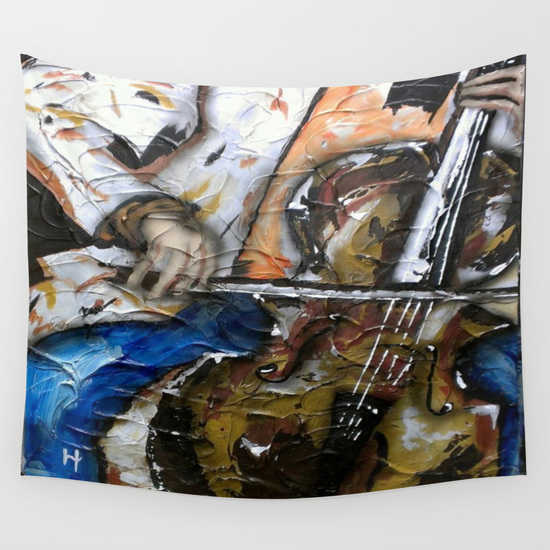 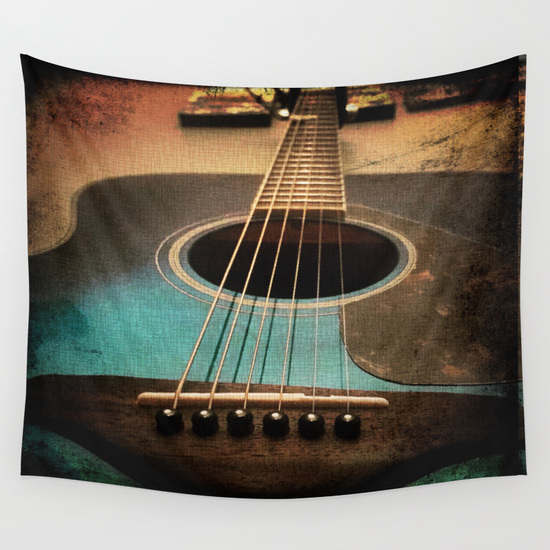 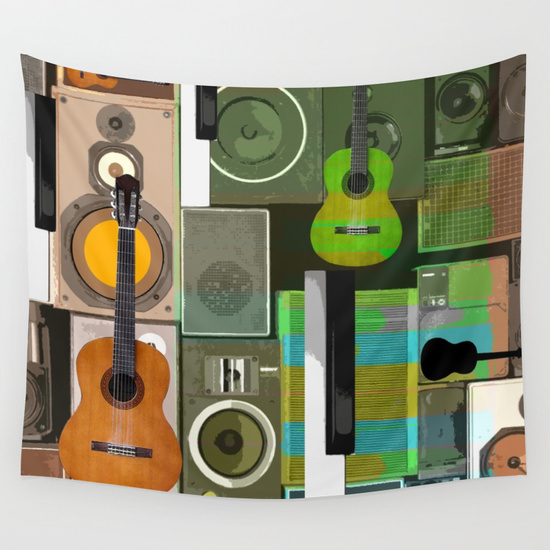 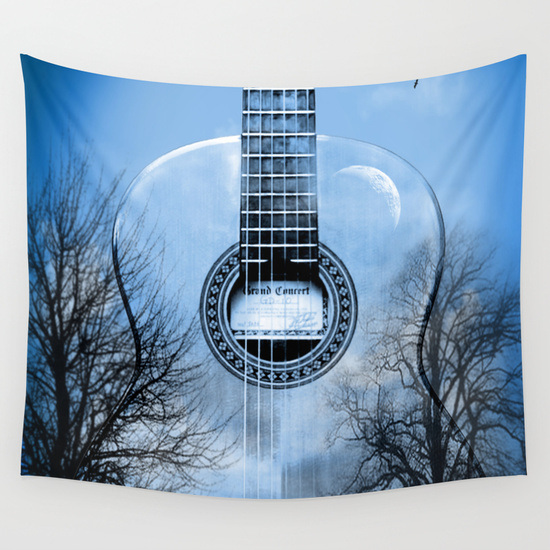 Where words fail music speaks with this stylish Two guitars on music sheets original art wall tapestry.